The Central Type Company is an independent foundry based in Chicago, IL.  All Central Type fonts are original creations & designed by Mark Butchko. In addition to selling our retail typefaces, we can also provide other services such as custom typeface designs and font programming/customization. Please get in touch if there's a project that you're interested in collaborating on.